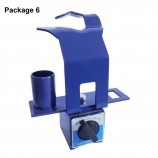 Package 1: MIG torch holder without Magnetic Foot and accessory plate. Package 2: MIG torch holder with accessory plate, but without Magnetic foot. 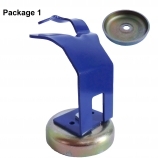 Package 3: MIG torch holder with Magnetic foot, but without accessory plate. 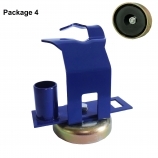 Package 4: MIG torch holder with Magentic foot and accessory plate. 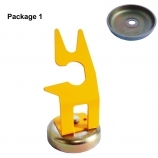 Package 5: MIG torch holder with switcheable Magnetic foot, but without accessory plate. 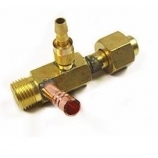 MIG torch holder is a simple and practical device for the convenient holding of the MIG torch when not in use. It is equipped with or without a magnetic foot. 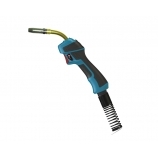 It is suitable for use with most MIG torches. 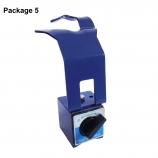 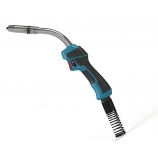 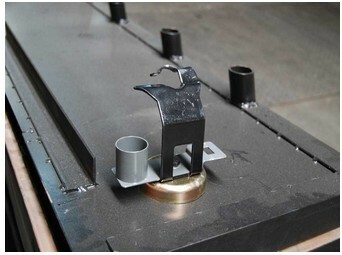 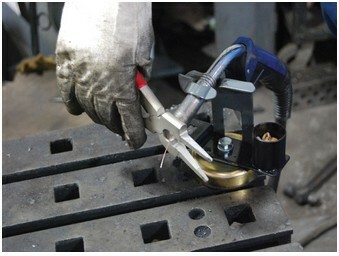 The MIG torch holder provides safe storage and convenient access to your MIG torch.The strong, fully enclosed magnetic foot allows the torch holder to be placed at any point on the working table. 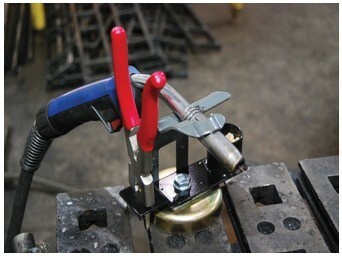 The accessory plate features a slot to park your MIG Pliers and a Canister for holding Nozzle Gel.